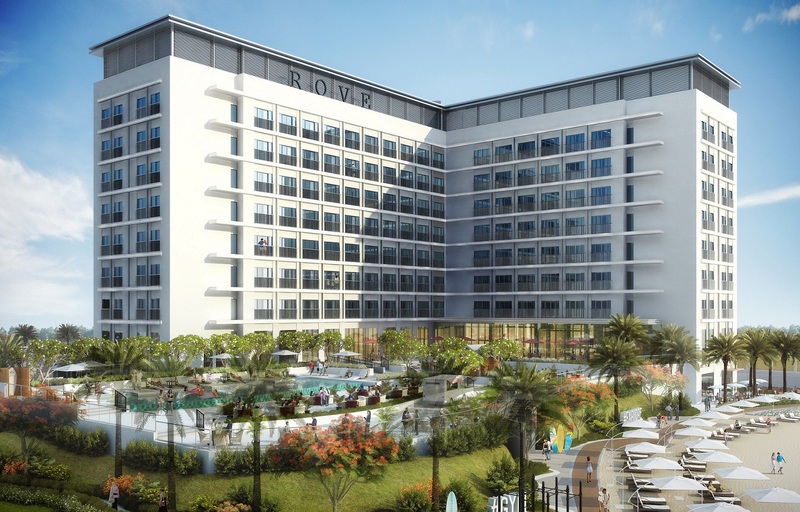 Dubai, UAE; June 20, 2018: Rove Hotels, the contemporary midscale hotel brand, has announced Rove La Mer located in the heart of La Mer, Dubai’s world-class beachfront. Set by the Arabian Gulf and with spectacular views of the city skyline, the 366-room Rove La Mer marks the newest addition to the growing portfolio of Rove Hotels properties in the UAE. Rove La Mer stands out for its central location at La Mer, a destination created by Meraas that benefits from a minimalist and contemporary design. Stretching into the ocean in the Jumeirah 1 neighbourhood, La Mer offers an inspiring lifestyle and leisure environment surrounded by 2.5 kilometres of relaxing sandy beaches. In close proximity to Etihad Museum and Dubai Water Canal, La Mer features a wide array of dining, shopping, leisure and entertainment choices, and is already one of the go-to attractions in the city. Designed for the value-conscious modern travellers who seek reliable, modern and fuss-free hospitality service in a tech-driven environment, Rove Hotels are developed as a joint venture between Meraas and Emaar Properties. With its architectural ethos reflecting the waterfront inspired design of La Mer, Rove La Mer is tailored for leisure guests, and will also appeal to business travellers seeking a refreshing new hotel choice. 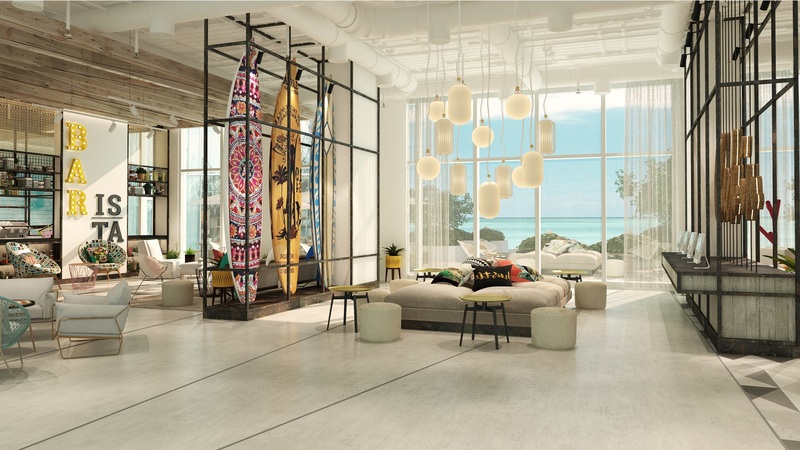 Scheduled to open in mid-2020, just in time for the Expo 2020 Dubai, Rove La Mer will feature 366 rooms including interconnected rooms – nearly 35 per cent of the total – as well as rooms specially designed for people of determination. All rooms have comfortable mattresses, a 48-inch TV with a smart media hub for super-charged entertainment, free high-speed Wi-Fi, ultramodern bathrooms, 24-hour boutique convenience store, outdoor pool, sundecks to relax, a 24-hour gym, 24-hour self-service laundromat, luggage store rooms, safety deposit boxes, sofa beds for extra guests, mini-fridge and more. Rove La Mer rooms will also feature creative artworks by local and international artists. Rove La Mer will also be home to the famed ‘The Daily’, an all-day restaurant that serves international flavours, as well as a Lobby Lounge, outdoor terrace and beachside food and beverage. As is the norm at Rove Hotels, guests also have the convenience of late check-out at 2pm. A joint venture between Meraas and Emaar Properties PJSC, Rove Hotels currently has five operational hotels in key locations in Dubai – Rove Downtown, Rove City Centre, Rove Healthcare City, Rove Trade Centre and Rove Dubai Marina. Several Rove Hotels are being planned in Dubai and other locations in the UAE as well as in Saudi Arabia. La Mer, which opened in October 2017, comprises La Mer North, La Mer South and Laguna, with over 100 shops, cafés, restaurants, and beach activities. The central Laguna area includes a waterpark with a surf park that is a first-of-its kind in the region. The destination spans a total of 13.4 million square feet between Pearl Jumeira and Jumeira Bay with a new cinema and additional retail and dining space planned. Existing beaches at La Mer have been redeveloped to include showers, toilets with baby changing and access for people of determination, free Wi-Fi, information hubs, mobile charging, prayer rooms, four children’s playground areas and over 1,000 parking spaces are among the other amenities.